If you are a regular reader of my blog, you’ll already know how much I love my coffee. My day doesn’t start until I have my first cup. Lately, I’ve been trying out a new kitchen appliance from De’Longhi and loving all the neat features. The De’Longhi Magnifica S Cappuccino Smart is a welcome addition to my morning routine. Actually, I should revise that to my daily routine since my days are filled with delicious coffee beverages! It looks super fancy, but it’s surprisingly easy to use. I can brew authentic espresso and cappuccino beverages with a simple touch of a button. It’s very intuitive and within minutes of setting it up, I was using it to brew myself a hot, fresh espresso. 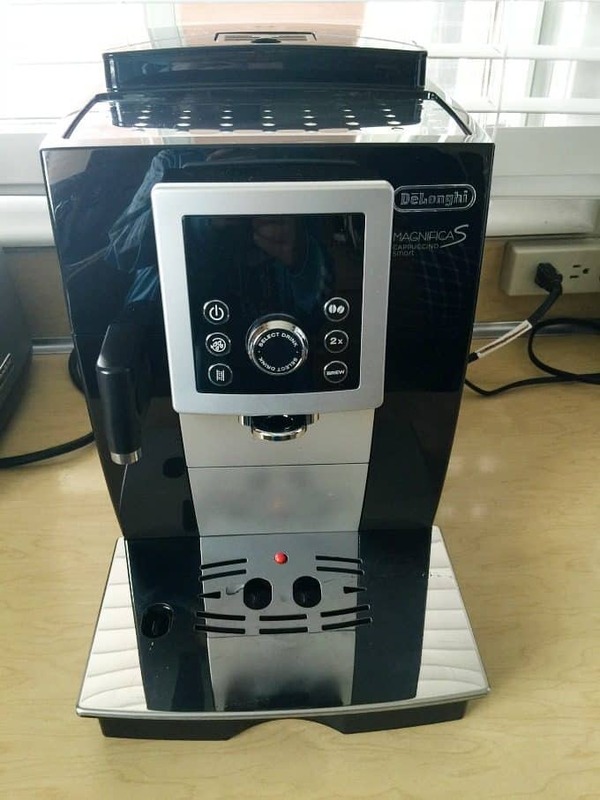 This fully automatic espresso and cappuccino machine delivers a perfect cup every time. It’s like having your own personal barista! 2x function. I can upsize my drink by pressing the “2x” button to make a taller beverage. I like my cups big. Fresh beans in every cup. It has an integrated stainless steel burr grinder with 13 adjustable settings to grind fresh beans each time you make a cup. You can taste the freshness. Mouthwatering milk foam. Use the milk frother to make the most luscious, creamy and thick milk foam for your lattes and cappuccinos. I love that the foam lasts for my entire drink. Consistent results. Each cup you brew is fresh, hot and tastes great. You always know you are going to get something delicious. Easy to clean. The Milk Carafe has an auto clean function that starts a rinse cycle after using it. Also, the water tank, drip tray and coffee bean container are easy to remove and clean. Ability to customize and create delicious drinks. I can make a basic cup of coffee using the espresso setting or I can be a little more creative and make cappuccinos and macchiatos. 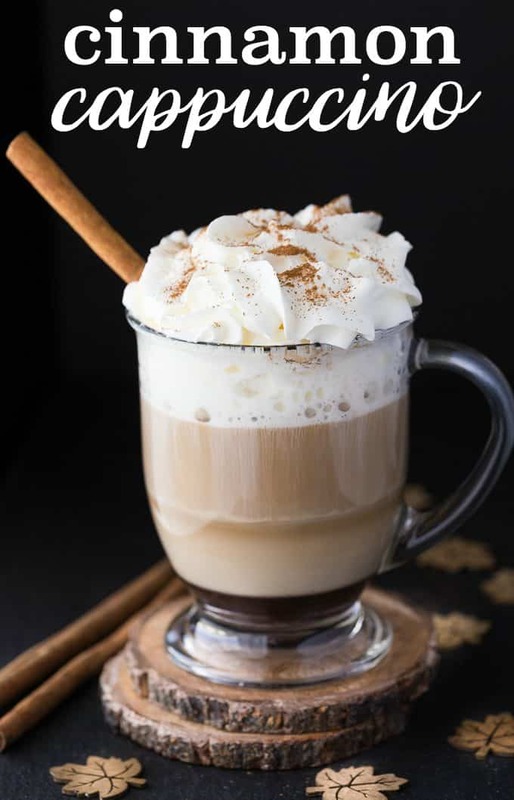 Today, I’m sharing one of my new favourite hot drinks that I whipped up with my new De’Longhi Magnifica S Cappuccino Smart: a Cinnamon Cappuccino. It’s so tasty and perfect for fall. Check out my video to see how easy it is to make this yummy drink! What would you love to make with a De’Longhi Magnifica S Cappuccino Smart? Creamy, smooth and perfect for fall! Boil water in a small saucepan on the stove. Add cinnamon and turn heat down to medium. Cook for 15 minutes. Stir in brown sugar and vanilla extract and continue to simmer on medium for another 10 minutes. Use the Cappuccino setting on the De’Longhi Magnifica S Cappuccino Smart to brew. I also used the 2x setting to make it taller. Pour 2 tbsp of cinnamon syrup into the cappuccino. Top with whipped cream and cinnamon, if desired. Store leftover cinnamon syrup in the fridge to make more beverages at a later date. This sure looks so good! It would be a nice way to have something to make your guests feel cosseted and special! and also just for the family! 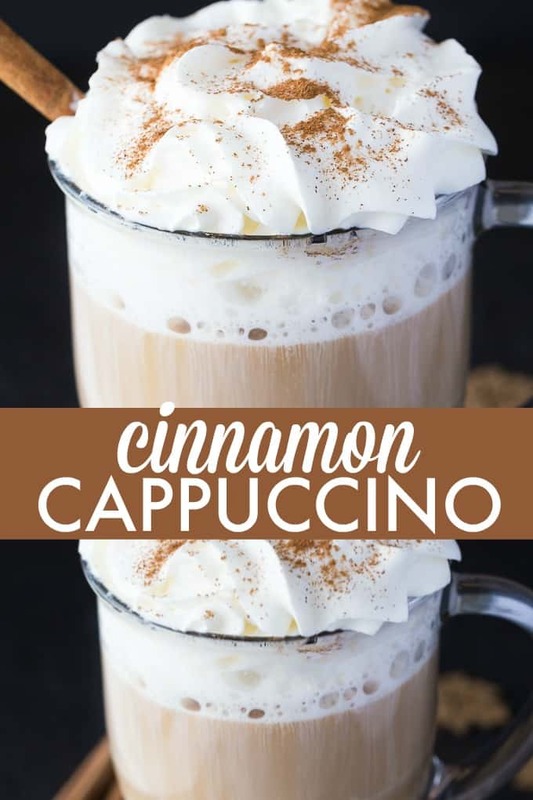 I like drinking Cappuccino, never had a cinnamon cappuccinos. Sound great. I’m not much of a coffee drinker, but this looks amazing, so I might have to try it! 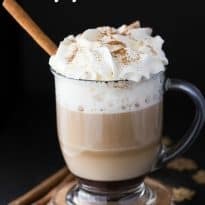 I want to make the Cinnamon Cappuccino hot coffee drink right now! It looks so delicious and easy to make. Thanks for a nice hot drink recipe! Pinned! This sounds amazing! YUM! I do love a good cup of cappuccino! My own little machine died a few months back and I’ll need to be replacing it – thanks for sharing your review! This looks delicious. I want one of these now!!! Thank you for sharing. Presentation is important to me ,if it looks delicious like this i want to try it.Thanks for sharing !